Okay — you have clients, and they need websites for their weddings — like, asap! 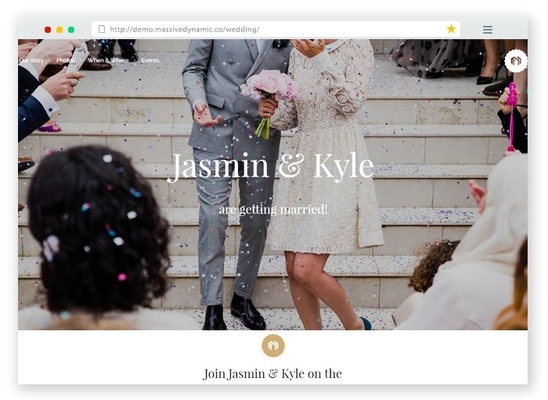 How do you choose the best wedding website builder, though? Superb query. Well for starters: You want to use a wedding website building platform that saves you time, saves them money, cuts out uncalled for stress and effort, helps you manage everything from a single location online, and makes the wedding planning and logistics simpler. That’s pretty much it in a nutshell. 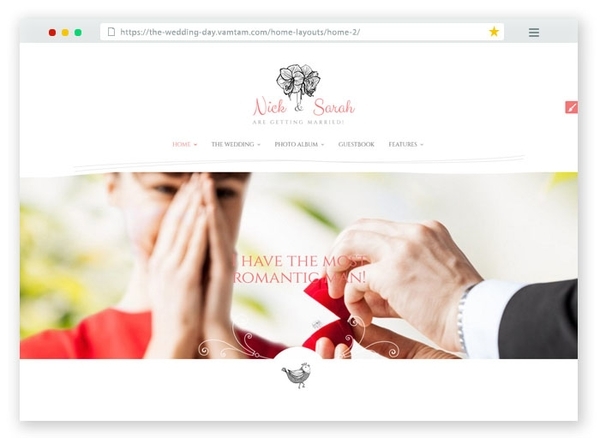 Sites like Wix, Squarespace, Appy Couple, Joy, The Knot, Weebly, WeddingWire, Riley & Grey, Minted or/and Zola will assist you in those areas and in spawning the ultimate wedding websites for your clientele. Such optimal wedding website builders not only help you to create memorable websites for customers, but they make life seamless for you too. 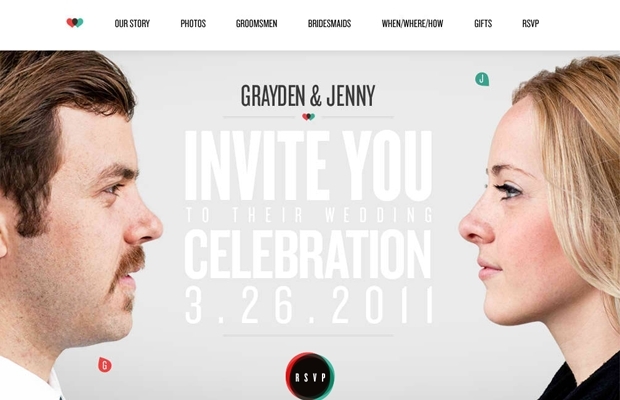 The following are some of the best wedding websites we unearthed. They include all the necessary elements – from wedding planning to choosing a wedding dress to photo shoots and more. Enjoy browsing and feel free to comment and share. The fun countdown clock featured signally on their homepage is what we heart the most! Definitely incorporate one of those on your client’s homepage, if it fits the bill, of course. 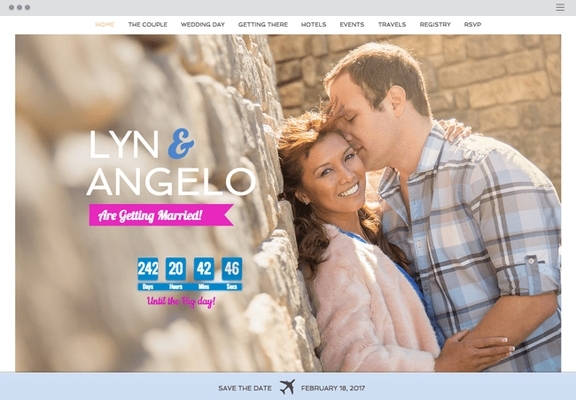 Lyn and Angelo’s wedding website is set on the sublime beaches of Thailand, and includes everything guests need to plan for the event: from travel details down to hustle-bustle itineraries. Unique approach … it’s incredible, to die for even! It doesn’t contain a lot of pictures, however it includes love messages of the couple. It too uses the social networking sites where the pair’s guests could communicate with them, which is a rattling idea. 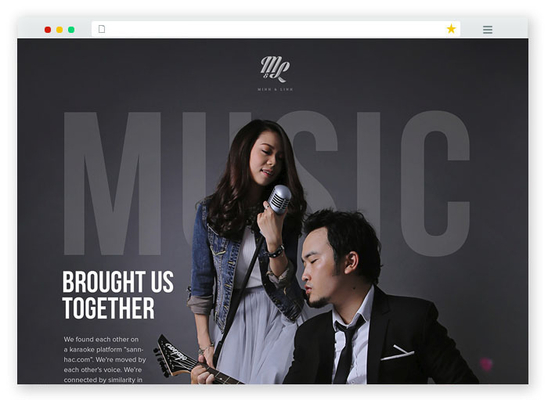 This Massive Dynamic theme (which is specially configured for wedding events) is stunning. It’ll let you create a groovy website which has a photo gallery, a countdown timer and too displays wedding timings. The story timelines are showcased at top of the website. 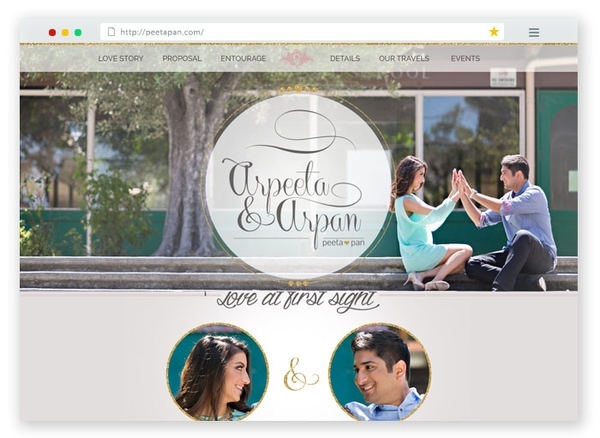 Compared to other wedding websites, Arpeeta and Arpan’s looks very attractive. The website displays their marriage date and too the website design is very swish which made it more appealing. 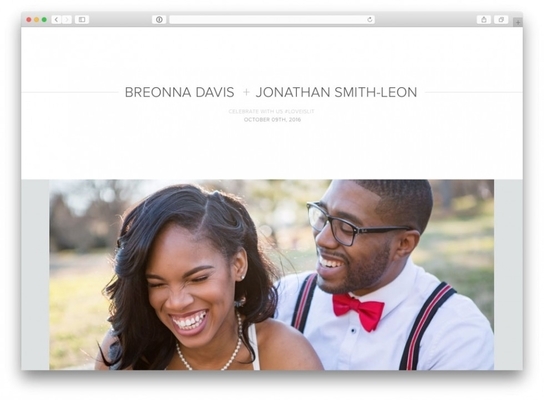 Also, the wedding event details are seen on the website and the platform utilized on the website is WordPress. If your fortunate enough to receive a photograph like this from your client, than you really can’t miss! 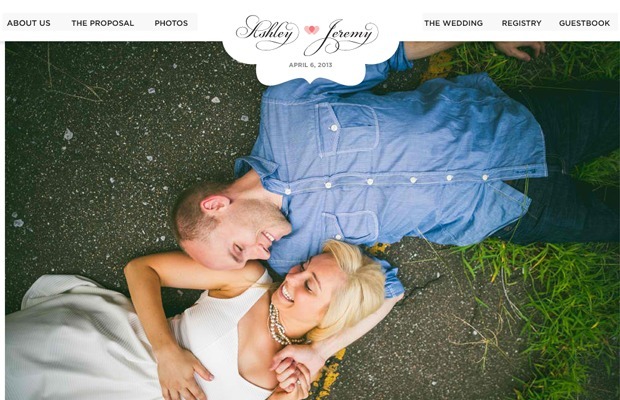 Ashley and Jeremy’s wedding website provides information about their love story and how they feel inside about one another. It too tells their guests about the place and date of the ceremony. Nice. It’s all about the theme, baby. Here’s a jaw-dropping website which exhibits images on both sides of the website along with personal info. This website possesses a countdown timer which will countdown the time remains for your indelible wedding day. It too reveals the time of main ceremony and wedding party. The Online RSVP form is accessible and wedding gallery also. The movie poster theme slays it. 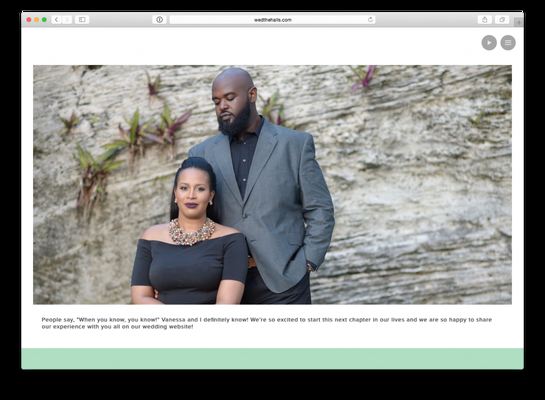 Out of the wedding website examples, this one has the ‘biggest feel’ to it. Plus, the site is negligible, clean and fun!